This week marks the celebration of the Jewish Passover. It is a festival of contrasts. Freedom and insecurity; enrichment and humility; arriving and departing all combine. Under the leadership of Moses, the Children of Israel move from being a discordant rabble into a liberated people with national and geographic aspirations. Moses was an interesting leader. 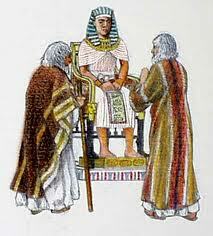 Of Hebraic birth, he was raised in the Egyptian court for his first forty years and having fled, Moses worked as a shepherd. Sensitive to the condition of his people but not contaminated by its daily travails; of them, yet above them; within them, yet outside them: Moses he learnt kingship, law making and pastoral care. The perfect training ground for his ultimate task. Like the Children of Israel in Egypt, Tesco's travails today seem without end. The Sunday Times (April 13th 2014) signalled the scale of bad news to come this week and the increasingly beleaguered positions of Philip Clarke (CEO) and Sir Richard Broadbent (Chairman) who are struggling to contain a damaging whispering campaign. But who can redeem Tesco? If there was to be a parting of the waves, then look no further than Richard Brasher. Cast as Sir Terry Leahy’s second son, Brasher left for South Africa to lead Pick'n'Pay having been passed over, seeing the Tesco birthright handed to Clarke. Brasher is working his exile, building his CEO credentials. Of Tesco, yet outside it: he is gaining perspectives that will serve him well, should the call come. Will the prodigal son return? Possibly... But only, one suspects, if Tesco lets Clarke and his people go. Happy Passover.